Starting this year Expovision is the official Hotel Reservation Office for GSA. Expovision has been “The Service Leader in Convention Housing” for over 20 years! We have an in-house call center and a proprietary booking site- thus making the hotel booking experience customized and easy for GSA registrants. Exhibitors and attendees can book their hotel reservation starting in April. Q: Why book with Expovision? You’re provided the best deal: Expovision visited Austin to survey hotels and then contracted the guaranteed lowest rates. That means hotel websites cannot have a higher rate that what is contracted for us. Expovision also monitors online rates to ensure hotels’ compliance. You’re protected from booking scams: Fraudulent third party vendors have various names (room poachers, hotel scammers, housing pirates, etc. ), but it all means the same thing. These scammers are not affiliated with GSA and are not the official housing provider. They typically charge a full deposit and leave victims without the promised hotel rooms. You receive free transportation: The official hotel partners that contract with Expovision provide complimentary shuttle service. These convenient shuttles takes attendees and exhibitors to-and-from the Austin Convention Center. 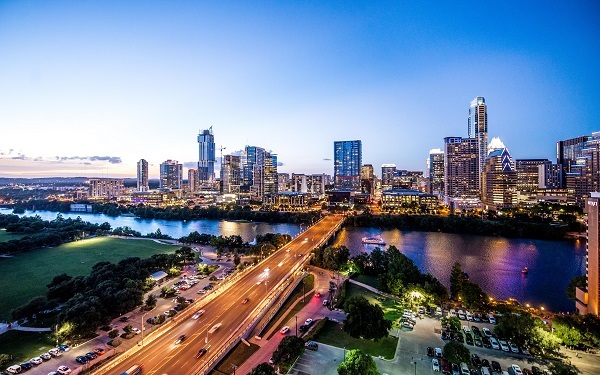 You help GSA: The more registrants that book in the official room block, the easier it is for GSA to contract future events with cities, like the amazing city of Austin! It also helps the housing provider lock in the best rates possible at highly rated hotels for future events. Q: Which hotels are in the official room block? There are 7 properties in the official room block for GSA19. All of them are within walking distance of the Austin Convention Center in the downtown area. There will also be complimentary shuttle service provided to-and-from select hotels and the Convention Center. A shuttle route schedule will be released closer to the event date. Q: What if I’m a Hotel Loyalty Member? You can still earn Hotel Loyalty rewards when booking with Expovision. Simply include your member account number when booking online or share it with a Booking Specialist on the phone. Please note that your reservation will not be shown on your Hotel Loyalty account. For any changes or cancellations, please contact Expovision. Expovision requires a first night’s room or suite rate plus tax to deposit a reservation. The hotel tax rate in Austin is 15.604%. Credit card payments are preferred. If an exhibitor needs to book a large amount of rooms, a group block account can be made for the company. A custom link will be provided; this allows the exhibitor to seamlessly update individual guest names, credit cards and check-in and check-out dates. Q: When should I book my hotel room? The deadline to book with Expovision is October 23, 2019. This is also the deadline to make any changes on reservations without penalty. We recommend booking sooner rather than later because rates are subject to change and hotels may sell out.